Welcome to Spring! Not sure what your weather is like, but ours isn't very spring like around here. 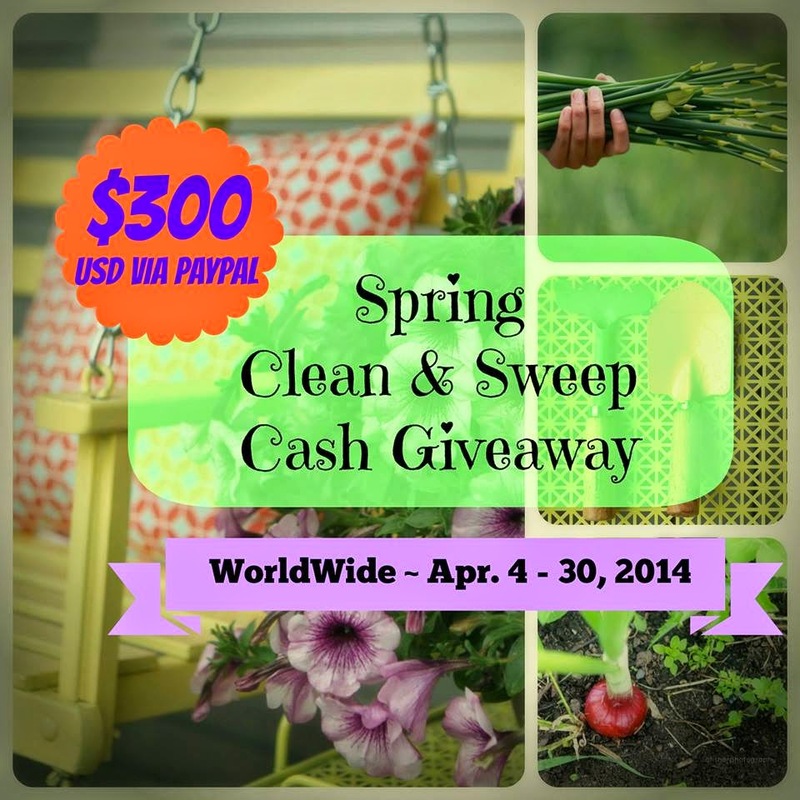 How would you like to win some CASH to help you buy your spring cleaning/organizing supplies? I have joined together with some awesome Canadian bloggers to bring you this Spring giveaway! Simply fill in the form below (follow the directions) and enter for your chance to win! Contest is open WW and closes on April 30 2014. Thanks to Downshifting Pro for getting this giveaway organized! Contest Rules: To enter, just use the Giveaway Tools form above. In order to win, you must have a Paypal account (no other form of payment will be issued). If it doesn’t load after a minute or so, refresh your browser. Contest is void where prohibited. Only one IP address per household is eligible to win. This giveaway is open World Wide to Paypal account holders, aged 13 and older. Giveaway ends April 30, 2014 at 11:59pm ET. Winner will have 48 hours to claim their prize otherwise a new winner will be chosen. No exceptions to this rule. . Good luck! Have a look at the other great giveaways Tales of Mommyhood has going on! I would clean and sweep the garage it needs a good tidying! I would clean and sweep my laundry room -- it desperately needs it! I AM cleaning my house already. I need to clean sweep my schooling bookshelves and supplies. I would clean and sweep the kitchen and bathroom!